Tired of paying too much for monitoring? Our intruder alarm monitoring methods are user friendly and personnel friendly, while supplying the industry's most powerful detection. Our certified technicians design and install safety/attack techniques, custom built for the facility's needs. This assures a fast and easy integration in your day to day functions. "HITS SECURITY SERVICES" offers a wide range of reliable and cost effective home alarm packages to protect your property from intruders. Whether it is a motion detector, smoke alarm, medical alert or panic switch that has been triggered, our Security staff is definitely there. Having tracked smoke detectors in the security system indicates our security personnel greatly helps in keeping you safe from fire emergencies when you're at home and maintaining the safety of your premises, properties and family- when you're not present. Professional installation by our skilled staff, coupled with around the clock monitoring by our Alarm Response Center, give you peace of mind that you can’t find on the shelf in a store. 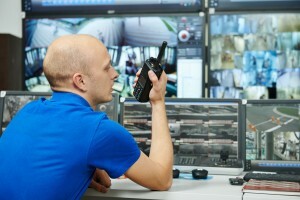 There’s no better choice for security companies with as much experience and dedication to you and your security monitoring and alarm monitoring than our team.